For more information on gong baths please go to our gong bath page and our blog. Regular gong baths are in Southsea in Portsmouth in Hampshire, we are currently looking for more venues in and around Portsmouth. Havelock Community Centre, 324 Fawcett Road, Southsea, PO4 0LQ. Fourth Sunday of the month 4:00pm – 5:00pm £10 per person payable on the door. With time for tea, reflection and discussion afterwards. Gong baths are not recommended during the first three months of pregnancy. Gong baths may not be appropriate if you have any metal implants, or experience seizures. If you have questions about these sessions please contact us. On 17th May 2019 Southsea Gong Baths visit the round tower for the first time! Join us and experience the magic of gongs and other instruments in this iconic venue, with the sound of waves gently lapping outside, and the birds up above. 6:30 – 7.45pm: Gong Bath. Broad St, Portsmouth PO1 2JE Please come along at 6:15pm to settle in to the space. Please bring along a camping / yoga mat, blanket, cushion and bottle of water and anything else you need to stay warm and comfy during the sound journey. There can be a chill in the air at the Round Tower, so please rug up! Deck chairs are available if you prefer to sit. At our Gong Bath you may drift into a meditative state of deep relaxation, leaving you feeling calm, at peace and revitalised. This blissful state can be felt for days. The healing power of the vibrations from the gongs and other instruments are felt in the body as a deeply relaxing sensation, which is good for aches and pains, healing and releasing any tension. No prior experience or special knowledge required. All you need to do is bring an open mind, lie down, get comfy and let the sound waves wash over you. Singing bowls, harp, shruti box, conch horn, crystal bowls, chimes, rattles and rainsticks may be used to compliment the transformational vibrations from the gongs and create a therapeutic soundscape. To avoid disruption, and let us settle into the space, there will be no admittance after 6.30. Gong baths are not recommended during the first 3 months of pregnancy. Gong baths may not be appropriate if you have any metal implants, or experience seizures. If you have questions about these sessions please contact us. Alice is an occupational therapist, a harp therapist and has trained in group sound therapy with the British Academy of Sound, both Alice and Justin have completed intensive Gong Master Training, and advanced Gong Master Training with Don Conreaux, originator of the gong bath, and world famous gong player and teacher Aidan McIntyre. Suitable for individuals, couples, and families, children welcome. First come first served. Don’t worry if there’s a short wait, this is historic Old Portsmouth and there’s plenty to keep you entertained nearby, including the city’s brightest creative talent in the Hotwalls Studios (https://hotwallsstudios.co.uk/) and The Canteen for quality refreshments, and of course the beach. Come along and enjoy your own private sound journey. This is a unique opportunity to have time to yourself in a stunning venue with our incredible transformational instruments. A gong taster is a great way to de-stress or experience deep relaxation leaving you feeling calm, at peace, energised and in-tune with yourself. Focusing on the sounds help you to move into a meditative state, often bringing about bliss, which can be felt for days. The vibrations from the gongs are felt in the body as a deeply relaxing sensation, which aids aches and pains, healing and releasing any tension. As with most complementary therapies, the gongs are not recommended during the first 3 months of pregnancy. Gong baths may not be appropriate if you have any metal implants, or experience seizures. If you have questions about these sessions please contact us. Saturday 14 July, 9:30pm, Canoe Lake, Southsea. As part of Portsmouth Film Society’s sunset screenings we will be playing the gongs before the film from about 8:45pm. Film starts at 9:30pm. Tickets available from Portsmouth Film Society. Portsmouth Festivities – Gong Bath, learn about the instruments and try them out! For Portsmouth Festivities we have extended our session from the usual length of one hour, to two hours. After the hour long Gong Bath itself has completed, participants will be given the opportunity to try out the instruments themselves, under our supervision. We ask all participants to remain quiet throughout the performance. We do not have any age restrictions and well behaved children are welcome. A gong bath is a form of sound therapy used for deep meditation. You will be bathed in sound waves, no water is involved. Bring a yoga mat, blanket and pillow, lie comfortably, close your eyes and relax. We have chairs available for those who do not want to lie down for the Gong Bath. Tea and biscuits are also included. Places are limited. Family harp workshops on Saturday 5th May at Southsea Castle from 11am – 12:30pm. Sunday 18th March 10am – 5pm FREE harp taster lessons, and drop in session. Part of the national charity Learn to play day. 30 minute lessons are limited to 8 people. Drop in session, a queueing system may operate depending on demand. Just turn up and have a go on a harp. Come and try the harp! At the Christmas market and pamper day for Portsmouth Hospitals Rocky Appeal. Fratton Park, Frogmore Road, Portsmouth, Saturday 11th November 10am – 4pm. £2 Entry. Exciting stalls and luxury treatments. 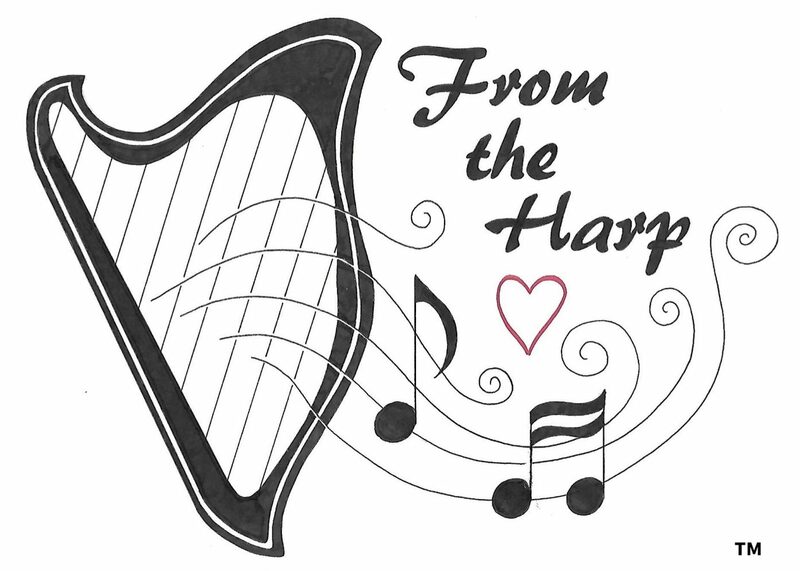 Alice from From the Harp will be at the event with her eight small harps. Have you always wanted to try the harp? Now is your chance to have a go! You can have a go on the harp or have a personalised tune played for you by Alice for a donation to the Portsmouth Hospitals Rocky Appeal. All ages welcome, no musical experience needed. Take time to be in nature and reflect on the year left behind and look forward to the new year to come with the soothing sound from the gongs and the great outdoors. Between the crazy golf and the war memorial at a tree by the path. Listen out for the Conch shell trumpet to guide you to the gongs from 3:30pm. THIS EVENT IS WEATHER DEPENDENT PLEASE CHECK FROM THE HARP ON FACEBOOK AND TWITTER BEFORE SETTING OFF. Please be prepared to stand for half an hour or bring a camping chair to sit on. If you prefer to lie down, bring a camping / yoga mat to lie on and a sleeping bag or blanket to keep yourself warm. Wrap up warm either way! Please leave a donation if you are able to that will be donated to Breast Cancer Haven in Titchfield. Registered Charity No 1061726.